On the 3rd and 4th December 2018, “Parallel Traces” team participated at the conference “Heritage for Future”, held in Luxembourg and organized by the Creative Europe Desk Culture of Luxembourg and the European Institute of Cultural Routes of the Council of Europe in the framework of the activities celebrating the European Year of Cultural Heritage (EYCH). The panels were centred around the questions of sustainable support for cultural heritage in Europe and aimed to highlight European networking and funding potential. 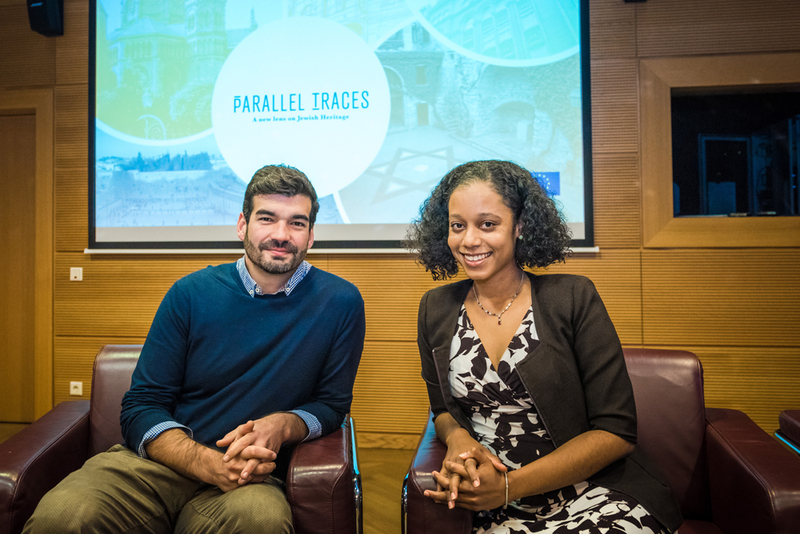 Victor Sorenssen, director of the AEPJ, and Stefanie Thomas, Project Manager of CUMEDIAE have jointly presented the “Parallel Traces: A new lens on Jewish Heritage” at the panel dedicated to the strategies to ensure sustainability of funded projects. Along with the general overview, objectives and impacts of “Parallel Traces”, the speakers shared their successful experience of developing the strategies of audience engagement used for this particular project. In fact, by combining the stakeholders’ networks, local communities, social media and new augmented reality application, the project can disseminate information on different levels, covering thus a wide range of target audience and effectively spreading its values. The presentation raised a lot of interest among the participating public and encouraged a very suggestive debate on new models of approach to heritage and the key role played by this type of projects in today’s Europe. Jewish heritage issues were also raised during the UNESCO meetings of the conference. The president of the AEPJ, Francois Moyse shed light on different Jewish heritage sites, synagogues, cemeteries, mikvaot, historically contextualizing the Jewish presence in Luxembourg, one of the partner cities of the project.